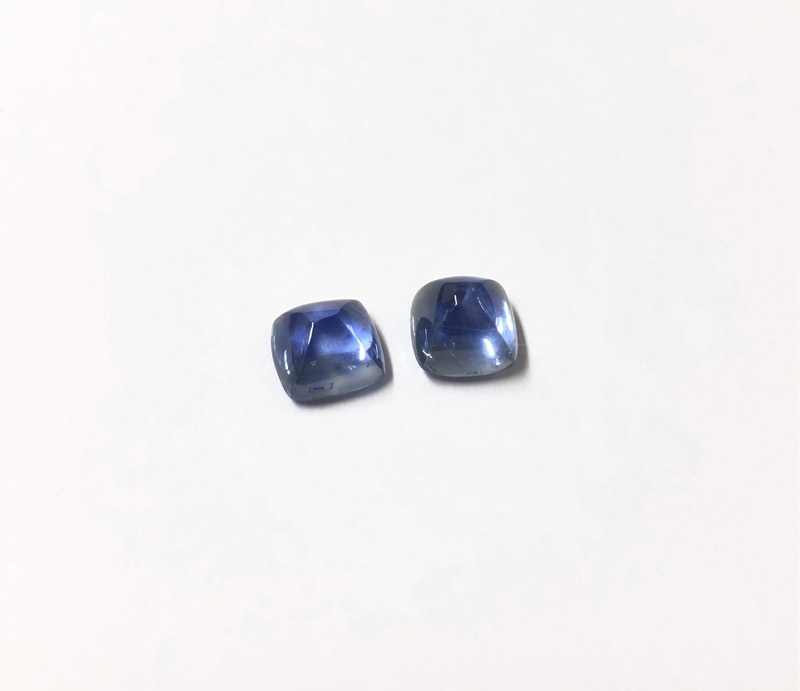 Pair of “sugar loaf” cabochons sapphires over 4 carats each. 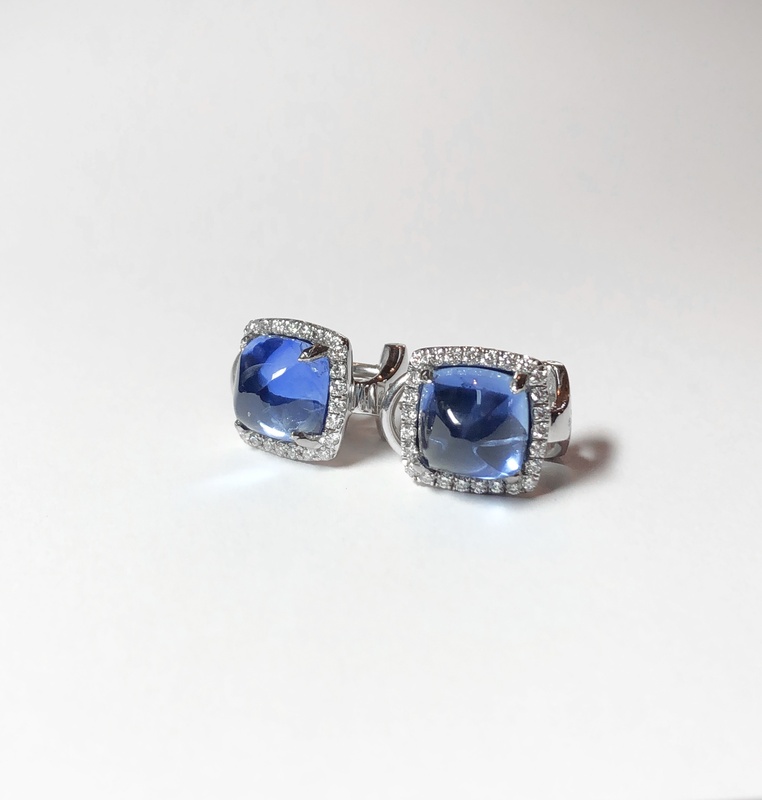 52 colorless round brillant diamonds (F-G ; VVS) (Total: 0,40 carat). Sugar loaf sapphires and diamonds earrings. 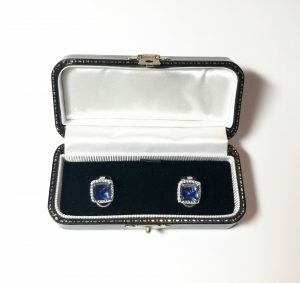 Sugar loaf sapphires before setting.